We bring carpets and rugs back to life! With our ever changing seasons and indeed weather, our carpets at home are prone to heavy soiling and are often overlooked. 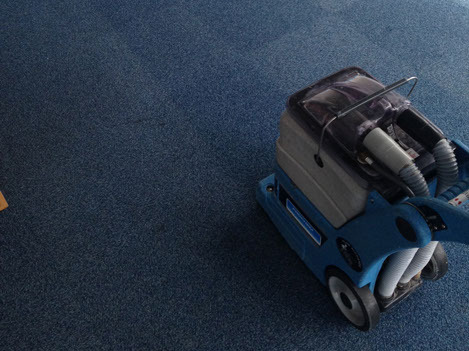 We use a powerful extraction machine which after pre-treating the carpet prior to carpet cleaning, jets down a mixture of temperature controlled water and carpet shampoo, penetrating deep within the fibres of the carpet. This solution is then immediately sucked up a slot in the wand, releasing the soiling with it. We recommend that your home carpets are professionally cleaned once a year, depending upon foot traffic to ensure that they always look their best. Rugs create a dramatic and individual statement on any flooring. From organic sisal, embroidered, wool or indeed synthetic rugs, we clean them all. We clean all rugs in situ and determine a suitable cleaning method with colourfast testing and analysis of the rug fibers. Why choose New Penny Cleaning for your next carpet clean? Rest assured with New Penny Cleaning. All carpet cleaning undertaken by our cleaning technicians is fully insured. With over 25 years of experience New Penny Cleaning has the expertise and specialist skills to clean any carpet or rug. We’re renowned and highly regarded for our end of tenancy cleans. No matter what size of property, contact us for a quote. We pride ourselves on delivering bespoke and flexible cleaning packages that work around our customers needs. Does the furniture need cleared before the carpet is cleaned? No. We will move items of furniture and replace them back into their original position when finished. Why do you pretreat the carpet before cleaning? Pretreating the carpet with a special formula helps bind the soiling in the carpet. This will allow for the cleaning process to be far more effective. Brushing this solution into the carpet additionally lifts the pile which aids in a much deeper clean. How long will the carpet take to dry? The carpet will be dry in approx 6 hours. Central heating or through draft will decrease this time. What is carpet protection and it's benefits? It is a silicon-based chemical that is applied to the carpet after cleaning. It takes approx 3 hours to dry and once dry it is completely safe for children and animals. The protection aids in prolonging the life of your carpet and also prevents spills from entering deep into the pile of the carpet allowing them to be blotted off. This is dependent on the foot traffic and the number of people living at the house, but we recommend having carpets cleaned in communal areas at least twice annually as a minimum. We provide professional cleaning services to households and businesses in and around the Surrey and West London region. No matter how big or small your cleaning needs we have the cleaning services teams to help.